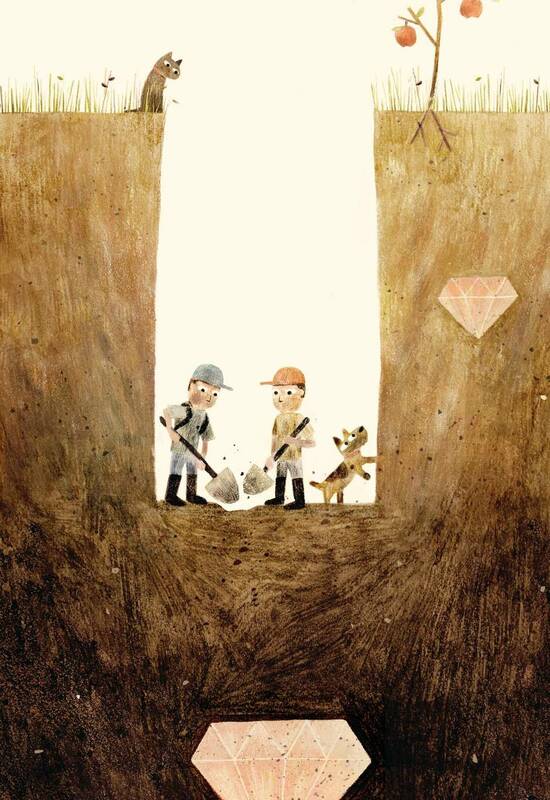 Canadian illustrator Jon Klassen, acclaimed author of the heartwarmingly grim children's books I Want My Hat Back and This Is Not My Hat, and collaborator on an ever-growing list of other works, released a new book last week, Sam & Dave Dig a Hole. If I achieve nothing else this week, I will get my hands on this book. Aside from the endearing illustration style (about five colours of pencil crayon, Klassen has been known to say), the books Klassen works on acknowledge that children are the scheming, schoolyard-justice-seeking humans we all remember once being. It feels like a week to lie down with a good book. Starting July 2014, this blog will be documenting a #yearofsweetness - each blog post will share one sweet thing that we've found to brighten your day by ridiculous amounts. Sign up for our newsletter to receive jammy thoughts and updates. All drawings, illustrations and items shown are the property of A Jam Story and Sarah Jackson, unless otherwise noted. Thanks!